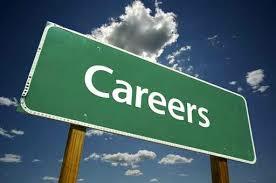 Home > Latest News > Career Advice > Developing your skills/qualifications > What would Attract you in a Job Advert? This interesting post asks some interesting questions about what makes an attractive job ad and what it means for the kinds of areas you should explore in your interview. The article talks about the job ad from both the perspective of the job seeker and the recruiter which offers a really interesting perspective for candidates. They present two different versions of the same advert and ask you to vote for your favourite. Which do you prefer? Read more.